'what becomes, that is becoming' or 'what is, is'. There is a famous yogic teaching: "Yad Bhavam Tad Bhavati." The most literal translation is: "You become as you think." But the Sanskrit language has many layers of meaning. It can also be interpreted as, "The state of mind and the state of matter are one," or "The light of the mind coalesces as matter." Through delving into this single statement, the yogis were able to apprehend the entire structure of creation through the mind. We Buddhists do this as well. We capitalise words live nirvāṇa, enlightenment, buddha, to mark them as special, perhaps we might say 'sacred' (though I wouldn't) on the model of a 17th century English Bible, and in defiance of contemporary English conventions. This doesn't occur in Indic scripts since they lack capitals, and all words and letters are special anyway. I think it suggests an inferiority complex when we have to make sure everyone knows our jargon is 'special'. Clearly, many of these statements are not logically connected to each other, or meaningful in any ordinary sense, and none of them seem to derive from the actual Sanskrit words. Which is more or less the same as saying that the Sanskrit phrase can mean anything you want it to (especially if you don't know Sanskrit!). This is a form of linguistic relativism, which presumably goes nicely with the "all is one" style of popular religion. But vagueness in language usually disguises vagueness of thought. As one website translates the phrase: "what you choose to believe becomes your personal truth." Quite. The sad fact is that people simply believe what they want to believe despite what intellect and experience tell them; and that, very often, what we affirm as true, or True, is merely what we believe, merely our opinion. It's like a belief in a creator god: it's just an opinion. Apart from a spelling mistake and dubious dates, the thing that stands out for me is that the Buddha is described as a Hindu! It may be that the first sentence in this quote is a garbled version of the Pāli verses which begin the Dhammapada, but the phrasing is quite different. mano pubbaṅgamā dhammā manoseṭṭhā manomayā. And, in any case, this is an ethical teaching, not an ontological one - it is about how your mental state determines the outcomes of your actions. I've also seen a website where our phrase is associated with Tibetan Buddhism, though the artist/author also says that the statement: "is a truth that transcends religion" . 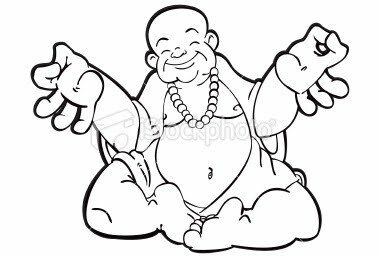 The phrase - yad bhavam, tad bhavati - may simply be a fake Buddha quote. Bodhipakṣa, of Wildmind fame. has been collecting fake Buddha quotes for a while now if anyone is interested in this phenomenon. As you think so you become. Here bhavati, has become bhavathi, and I'm unsure about what it could be except a spelling mistake. Though he also spells satya as sathya, so it could be a matter of idiosyncratic rather than mistaken spelling. Although the phrase comes in a talk peppered with Sanskrit quotes and translations for which textual sources are cited, no source is given for this particular phrase. He does, however, mention the story of Prahlada (a character from the Puraṇas) and one translation I found suggested that our phrase in the form - "Yad Bhavam tad Bhavati (Whatever you have in mind will be reflected back to you as a reality)" [sic!] - might occur in this connection. I couldn't find any confirmation of this, however. After a bit of playing around with the Devanāgarī I did find one quote in the form "यद्‌भावम्‌ तद्‌भवती" (i.e., yad bhāvam tad bhavatī) where bhavatī is a spelling mistake for bhavati. Technically, in Sanskrit you'd probably write this यद्भवम्तद्भवति with sandhi and conjuncts obscuring the word breaks. But this did not shed any light on the origins of the phrase. An email on the subject from Sanskritist Kiran Paranjape, who I often refer people to for tattoo transcriptions, makes me wonder whether Sai Baba hasn't just done a Sanskrit translation of the Spanish/Italian phrase "Que sera, sera" - "What will be, will be." The Sanskrit would be according to Kiran: yad bhāvyam tad bhavati, which is very close to our phrase. I would have gone for something like: 'yad yad bhāvyam tad tad bhaviṣyati', though it lacks the brevity of the original; or perhaps 'yad bhāvyam, bhāvyam' which captures the form but, like the original, is not fully grammatical. Another possibility is that 'you become what you think' is an example of the so-called Law of Attraction - a form of magical thinking popular in Theosophical circles, and amongst New Age gurus like Deepak Chopra. It forms the basis of the book: Think and Grow Rich. It may be that the phrase has also been picked up on by Sai Baba. It sounds vaguely similar to Hindu religious ideas, so fits in with his rhetoric. After quite a lot of searching around, I did not find any traditional Indian source - Vedas, major Upaniṣads, Epics and Puraṇas; in either Roman or Devanāgarī. Perhaps I have missed something, but it doesn't seem to be obvious. I should add that the whole thing is redolent of Hindu spirituality, and may well be genuine - the fact that I can't find it may be a failing on my part. The phrase is widely quoted across the internet, and attributed to a range of people or texts. On the face of it, however, the words are a bit of meaningless cant that 'spiritual' people project their ideas onto, the linguistic equivalent of crystals. I suppose this is how legends get started. Someone, for whatever reason, attributes some saying to the Buddha. Later generations take it seriously, but not finding a source for it, must create a plausible context for the fake quote. So we get drift from the words of the master towards the words of fakers (who may have been well intentioned, I'm not suggesting they are necessarily evil). Sometimes it is very difficult to tell the difference, especially if we aren't familiar with a wide range of sources. This is one of the most valuable functions of scholars: to take cant like this and explain why it is inauthentic, to slow the drift towards mumbo-jumbo. I was born in a small town in the central North Island of New Zealand, child of 3rd and 4th generation settlers. About half my neighbourhood were Māori. 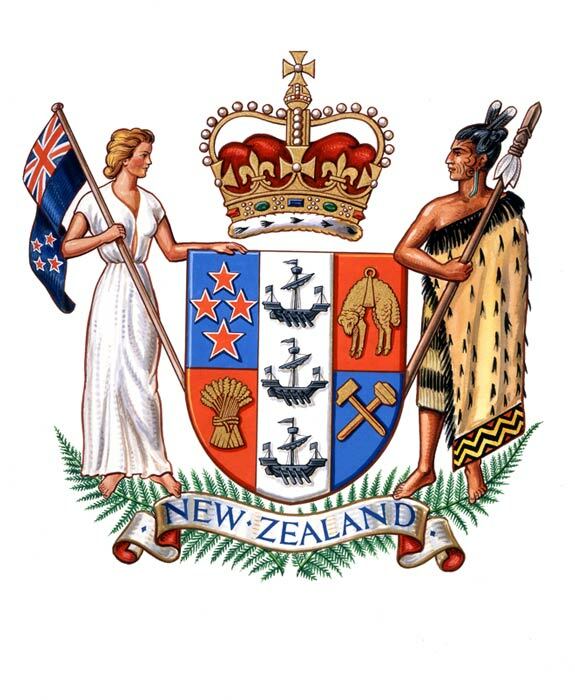 New Zealand is a relatively young country, having been formally recognised as such in 1840 with the signing of a treaty between Queen Victoria of the United Kingdom, and several influential Māori chiefs (this is symbolised on our coat of arms, left). The Māori themselves are one arm of a vast colonising movement that settled most of the habitable islands of the Pacific Ocean, arriving in New Zealand around 1000 years ago. People in the UK like to joke about the Antipodes being populated by criminals - this is not in particularly good taste. We don't laugh about concentration camps or slavery, and the British transportation of convicts to Australia was hardly any more humane. But as any New Zealander will be quick to tell you our country was not populated convicts. However our country was founded by white-collar criminals. At the heart of the original fraud were the two versions of the Treaty of Waitangi. In the Māori language version the locals ceded kawanatanga 'governorship' to the British, but crucially maintained tino rangatiratanga 'full chieftainship' over their people, lands and possessions. In return the British would establish a government to help protect everyone from the rapacious and violent foreign visitors who had begun arriving in the late 1700's, and to act as an intermediary in land sales. Māori gained all the rights of British subjects. The chiefs had been prompted, partly by the arrival of a French Catholic mission and a significant American presence in the form of whalers, to chose the English as the lesser of three evils. In the English version of the Treaty the chiefs ceded sovereignty to the Queen. This opened the door for exploitation because although they gained rights and protections as British subjects, the chief's right to rule their own people was effectively removed. And in any case the British were loath to treat the Māori as British subjects on a par with themselves, because they had brown skin and a non-European culture. While some attempt was made to take copies of the Treaty around the country, not all of the chiefs would sign, and not everyone had an opportunity. The New Zealand Company, crucial to the early development of New Zealand as a colony, was the brainchild of the devious and unscrupulous Edwin Gibbon Wakefield, a convicted felon himself (having been found guilty of abduction). This company sold land to settlers before providing one-way transport out. The land they sold was not legally theirs, and indeed they sold more land than the whole surface area of the islands. Initially they could only buy land which had been purchased on their behalf by the Queen - through her representative in the form of a Governor. The first Governor, William Hobson, embezzled most of the money, then died. His temporary replacement Willoughby Shortland misappropriated the rest, leaving the fledgling country more or less bankrupt. This meant that very little land was being purchased while thousands of settlers were arriving each year. The settlers began to take land against the wishes of the Māori, which caused tension and bloodshed. For a brief period the tragic figure of Robert Fitzroy (ex Captain of the famous HMS Beagle) became Governor and tried to be fair to both locals and settlers. But he was unpopular with the settlers because of this. The lack of income from selling land also prevented any kind of public works program. In addition New Zealand Company executives owned the local press and published stories which suited their purpose both in New Zealand and in London. Fitzroy was soon deposed and the land grab was prosecuted with increasing vigour under his replacement George Grey. By around 1860 the Māori had drawn a line in the sand and warned the settlers that no more land would be sold, or allowed to be taken. But thousands of settlers continued arrive, many of whom had already purchased land in the UK. An excuse was invented and war was prosecuted during which some 4 million acres were seized, and many of the defenders killed, or imprisoned. Those fighting for their land were deemed by Act of Parliament to be rebels who could be detained indefinitely without trial. They were often shipped far to the south where the conditions were very poor and cold - our very own Guantánamo Bay. When I was young we called this period of conflict "the Land Wars" but the current PC term is "the New Zealand Wars". However the reason for, and the object of, the wars was taking land from Māori. Again it is possible to draw parallels with the war in Iraq and American and British concerns over the flow of oil. With the destruction of their civilisation and the introduction of European diseases, the Māori population plummeted and it was thought that they would quietly die out. Fortunately they did not. During this period a number of great Māori leaders emerged, but one hero stands out for me. Te Whiti o Rongomai established a village called Parihaka in Taranaki. Here he preached the bible in the manner of an old testament prophet - for despite the capriciousness of the British, many Māori enthusiastically embraced Christianity. Indeed many of his followers saw Te Whiti as a prophet. After the war which saw all of the Māori land confiscated, he preached a course of non-violent resistance almost a century before Gandhi. They pulled up survey pegs and ploughed up roads to plant potatoes. When the army came for him they were met by women and children singing songs. Te Whiti was arrested and imprisoned for a year as a rebel in 1881. He never struck back. Probably because the news did not reach the rest of the world Te Whiti's struggle against injustice did not result in a loss of moral authority, as did Gandhi's. But this is not what we learned as children. Our schooling painted the British as intrepid explorers and colonisers, heroic and noble; the Māori as backward, cowardly and savage. The truth is not quite diametrically opposed to this, but the portrayal is deeply wrong. The British were convinced of their racial and cultural superiority and determined to crush any resistance to their "civilising influence". They saw themselves as pre-ordained to rule over "the lower races", especially those who skin was not white. So while they were intrepid, their values were abhorrent by today's standards. The Māori were using stone age technology at the time of contact with Europeans. They could indeed be savage, but perhaps no more so than the British. Environmental pressures had forced them into a pattern of almost continuous small scale warfare as they competed for scarce resources. However they were quick to learn from Europeans, many converted to Christianity, and they initially prospered from their contact. But the settlers, lead by (and lead astray by) the New Zealand Company were greedy and would not settle for less than all of New Zealand. The Māori fought a successful guerrilla campaign against the invaders and usurpers. Although London had not sanctioned the war for land, and had asked the colonial government not to start it as they could ill afford to be involved in another foreign war, in the end they had to bail the colony out. Thousands of troops were sent, with the latest weaponry. The Māori were defeated by overwhelming force. Although the first nation people dwindled they did not die out. Before my generation efforts were made to extinguish the Māori language - it was forbidden in schools for instance. By contrast I was able to formally study the language in secondary school. Now the Māori people and Māori language are having a renaissance. Children once again have Māori as a first language and receive primary and secondary education in Māori. Māori is an official language of New Zealand. In 1975 the Waitangi Tribunal was set up to begin to address grievances over land seizures and other breaches of the Treaty. This has helped to reaffirm the place of the Treaty in our legislature, though the two versions continue to cause distension. Reparation payments began to be made in the 1980's, and Māori have become more confident in pursuing claims through this court. We are left with nation founded on deceit, which one side is only now owning up to. New Zealand is also home to other immigrants. Amongst the British (mostly English and Scots), were always a few Dutch and other Europeans. Former residents of Pacific Islands such as Samoa and Tonga are free to emigrate partly because New Zealand took over the British governance of them. More recently many East Asians have begun to arrive in substantial numbers. Multiculturalism is blooming even before we have come to terms with the history and consequences of colonialism. There is no question of returning New Zealand to the Māori, though no doubt they are still owed more in compensation than they have so far received. This is not a popular sentiment amongst many New Zealanders who cannot see why the grievances of a century ago continue to haunt us. Perhaps because we benefited so much from the cheating, and now have so much to lose. People of that view who visited England in 2010 might be surprised just how much feeling the invasion of 1066 can stir up amongst the English. Until World War I (white) New Zealanders thought of themselves as British. The disastrous Gallipoli campaign began the process of separation, New Zealanders realised that the British didn't see us as British, but as 'colonials', and as such ideal as canon fodder. However it was the British themselves who effectively ended the connection between the two countries by joining the European Common Market in 1973. Until that time 80% of New Zealand exports were to Britain. After that the French blocked most of those exports, since New Zealand was in direct competition with France (and beat them on both quality and price), and today the figure is just 5%. These days the UK is looking to limit immigration from outside the European Union and this will certainly include former colonies. Although the Queen is still nominally the head of state, this seems less and less meaningful, and it seems only a matter of time before New Zealand becomes a republic - at which point the Treaty of Waitangi must be renegotiated which may prove interesting. Kiwis need to be clear that the British don't feel sentimental about New Zealand - it is a foreign country to them. During the 2007 rugby world cup I witnessed a pub full of English people cheering for France to beat New Zealand in the quarter-finals. They cheered for France! For the children of settlers identity is a vexed issue. We are not tangata whenua or first nation people, and yet our home has cut us off and disowned us - so we are not people of the British Isles either. To make life more complicated many of us are adding a new religion to the mix. My friend Sally McAra has written about the issue of identity amongst New Zealand Buddhists in her book: Land of Beautiful Vision: Making a Buddhist Sacred Space in New Zealand (University of Hawai'i Press, 2007). Part of coming to terms with that identity must be reviewing the nature of our relationship with the Māori, who seem now to be stuck with us, and indeed very often share ancestors with us as well. I suppose the stories of the many indigenous people who fell under the trampling boots of the Euro crowd as they swarmed across the globe gives us some insight into what a loss of culture and sense of identity looks like. People who do not know who they are, and do not belong anywhere seldom prosper. Having grown up amongst a dispossessed people I see that the Western Buddhist discourse on identity and belonging can be glib and superficial... we discount the notion that identity has any value. But it clearly does. Paraphrasing Sangharakshita I think we can say that before transcending one's identity, one must first have an identity.